It's been a while since I joined Tricia's Barn Charm. 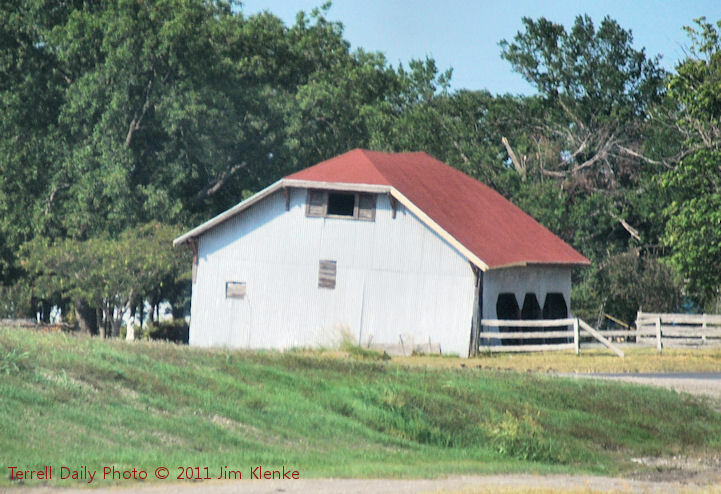 This is one of the many barns that dot IH-35 between Dallas and Austin. Visit her site to see the other participating sites. Ham Orchards made the national news last night. Lynette, who posts at Portland (OR) Daily Photo alerted me to a report on the CBS Evening News last night about the drought we are in the middle of. Dale Ham was interviewed about this years peach crop.